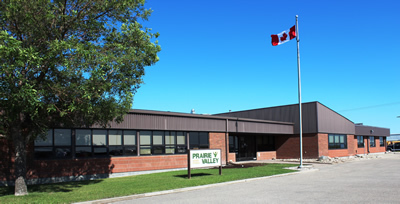 In April, 2014, the Prairie Valley Board of Education notified families that, effective for the 2015-2016 school year, Prairie Valley students will be bussed to Prairie Valley schools only, with a transition period for current high school students and French Immersion students. This was in response to decisions made by the Regina Public School Division and Regina Catholic School Division regarding restricted admissions to certain Regina schools by Prairie Valley residents. In May, 2014, in response to community feedback, the Board added Sheldon Williams Collegiate to the list of schools that would receive bussing during the transitional period (2014-15 through 2017-18 school years). In June, 2014, a delegation from the communities of Pense and Grand Coulee attended the Board meeting to request that the Prairie Valley Board enter into an agreement with Regina Public School Division to allow Pense and Grand Coulee students to be admitted to Sheldon Williams Collegiate for a minimum five year period, with the possibility of extension for another five years, with bussing provided by Prairie Valley School Division. The Board considered this request at the September Board meeting and again today in committee. The Board understands that this is a significant change for residents of these communities and in areas north, south and east of the City of Regina who have for many years accessed Regina for elementary and/or high school. The Board has heard the public speak to this issue. As a result, the Board will take additional time and has directed Administration to further investigate options as well as invite others to engage in this discussion, including the communities impacted, Boards of Education in Regina and the Ministry of Education, as we develop a long-term plan. The Board anticipates having this additional analysis completed in February/March, well in advance of the 2015-2016 school year.